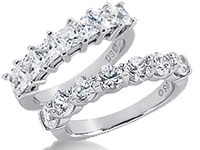 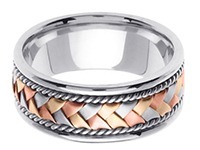 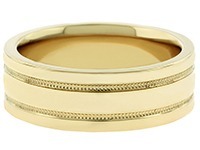 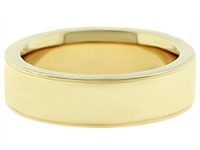 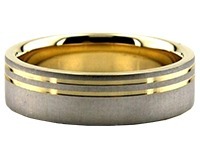 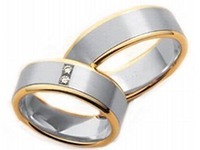 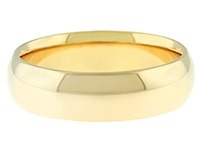 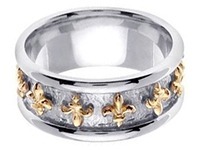 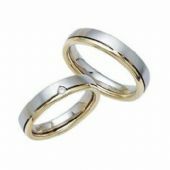 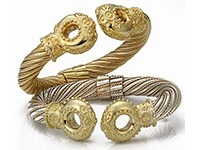 This 14k Gold His & Hers Classic Wedding Band Set is 5mm wide and approximately 2mm thick. 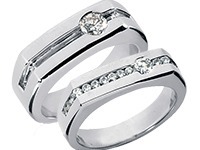 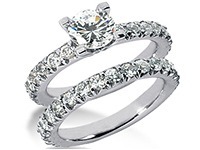 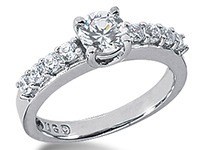 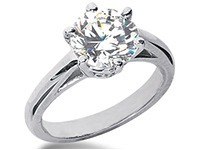 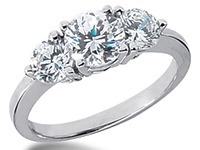 These rings are designed with a comfort fit that allows for support as well as comfort when slipping the ring on and off the finger. 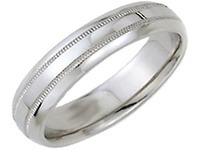 As described in the name, comfort fit provides ease that will not confine or constrict your finger as you wear your wedding ring. 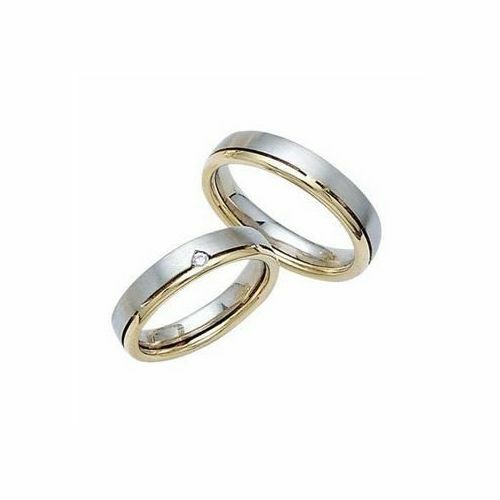 These beautiful hand made designer wedding bands are featured in satin finished white gold, with yellow gold strip in a shiny finish that surrounds the rings. 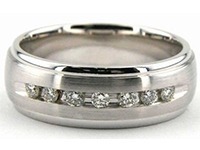 The HER band features a single round brilliant diamond strategically placed in the center creating a look of sophistication and elegance. 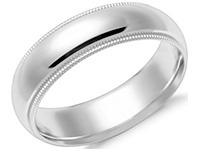 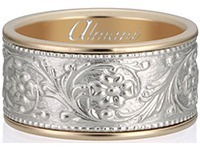 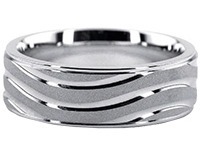 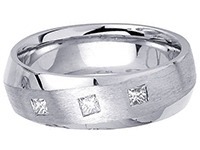 Our wedding bands are handcrafted per order and are not simply cut by a machine. 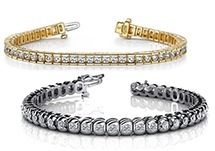 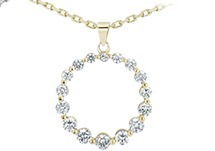 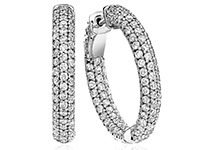 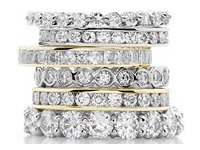 Each order is custom created by our design team and head jewelers to ensure that you are recieving the highest quality of jewelry, essentially a piece of art, from our factory right here in New York City.